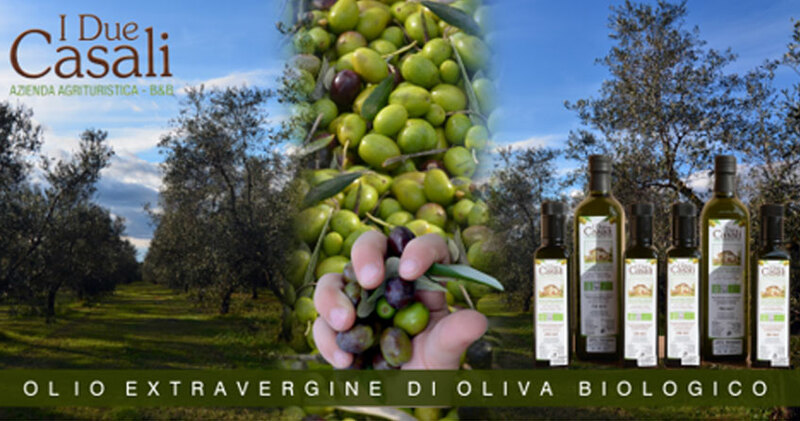 Nestled in Vetralla, in the beautiful Tuscia countryside at only 10 minutes drive from Viterbo, our olive grove covers an area of 12 hectares, and features 2300 olive cultivars, of which the greatest part consists of Canino and Leccino cultivars, on the basis of Pendolino Fosco Crognolo varieties. In 2000 we chose to convert to an organic production system from a conventional system. The entire bio-production process is now controlled and certified ICEA (Italian Ethical and Environmental Certification Institute) and IT BIO ICA G1625 is approved by the Italian Ministry of Agricultural, Food and Forestry Policies. Organic farming categorically excludes the use of insecticides or any kind of synthetic fertilizers, and takes alternative measures to cope with fertility and pest issues. 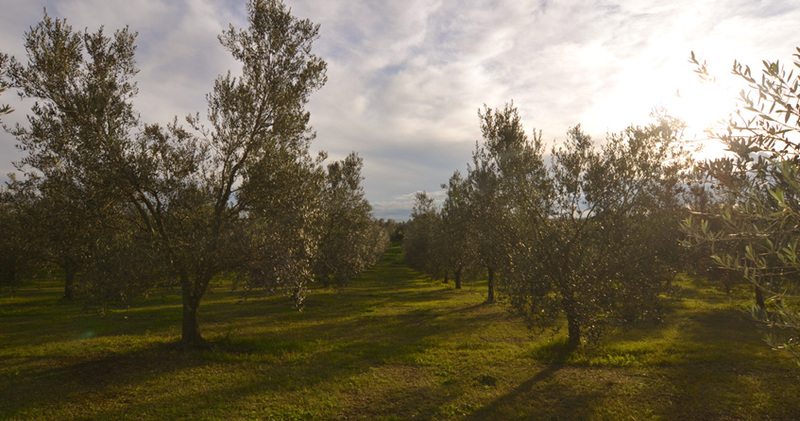 An organic olive production system takes place according to the season, usually between the second week of October and the fourth week of December. The best period for the harvest is during the veraison, when the olive fruit matures from yellow-green to red-purple in colour. As the fruit matures further, its skin turns from purple to black. 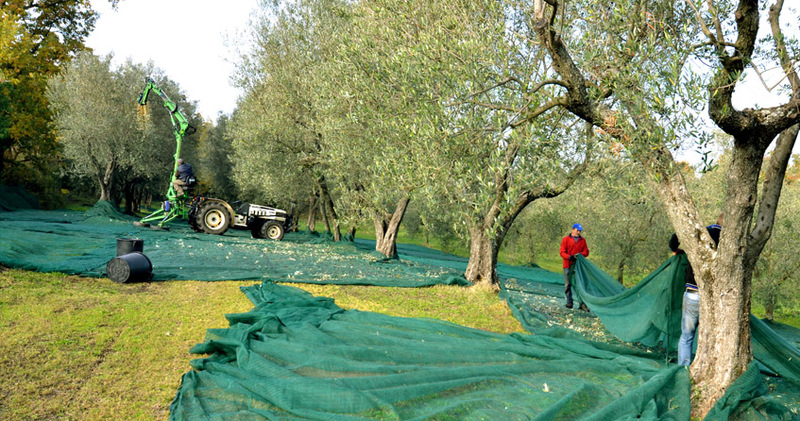 Mechanical olive harvesting must be carried out by paying attention not to provoke stress in trees or damage fruit. Every evening our fruit is delivered to the mill. The oil extraction process takes place within 6 to 8 hours in order to have fresh and high quality oil. 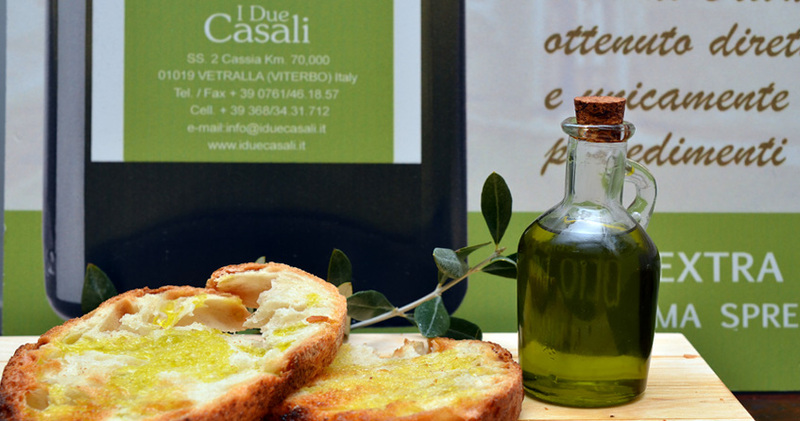 The milling of organic olives in the ICEA authorized and certified olive oil mill Cesare Battisti is carried out separately from the milling of conventional fruit. MAKING OLIVE OIL. 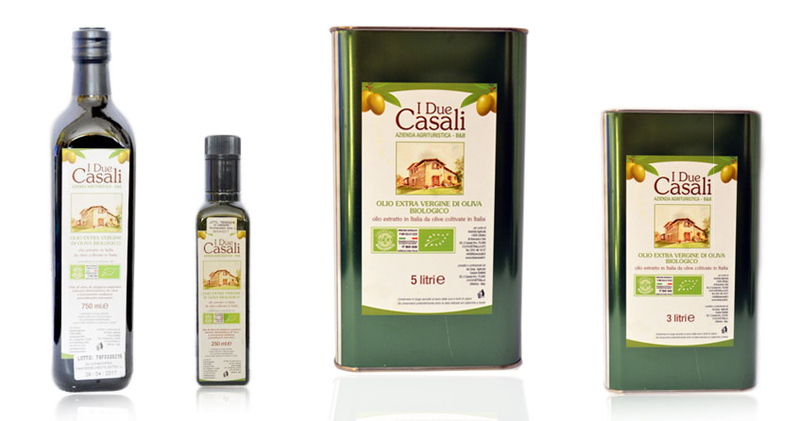 The first step in the oil extraction process is cleaning, weighing and washing the olives. This first stage is completely mechanised and necessary to remove damaged fruit. Oil is then cold pressed at temperature not exceeding 27° C. Thanks to a new two-phase technology which does not require the use of water, the oil quality has been improved in terms of flavour and colour. Filtering is then used in order to obtain oil that is sediment-free. 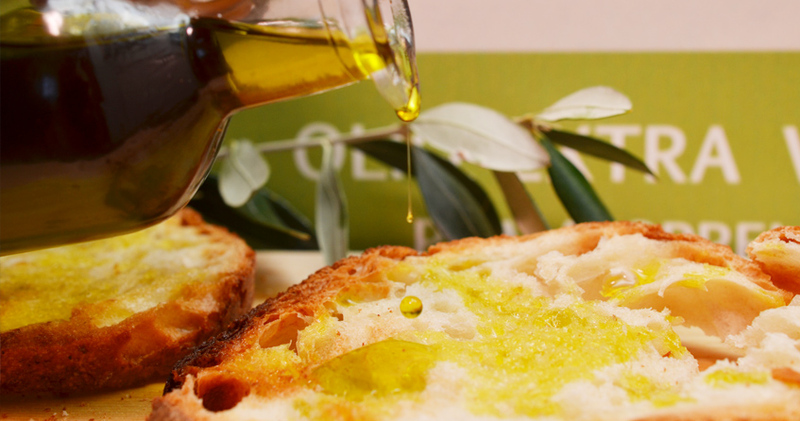 Olive oil is stored in stainless steel tanks and maintained at a constant temperature of between 15° and 18° C, away from light and heat. I Due Casali - P.IVA 00711280560 - All rights reserved.